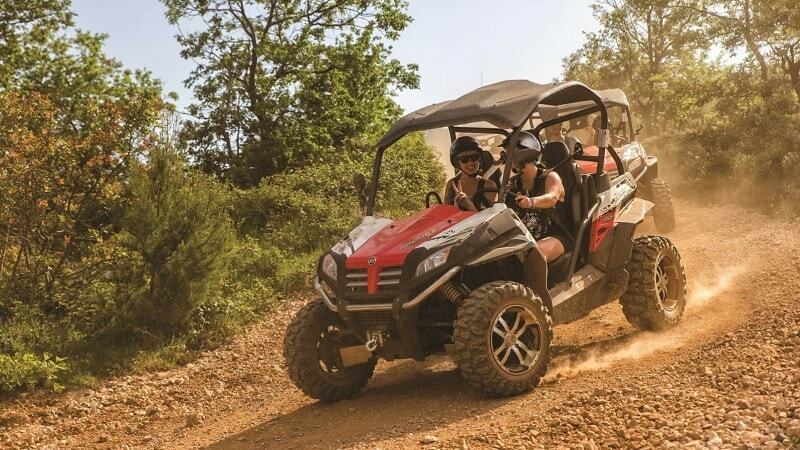 Challenge yourself by participating in Side Buggy Safari excursion and make your holiday unforgettable. 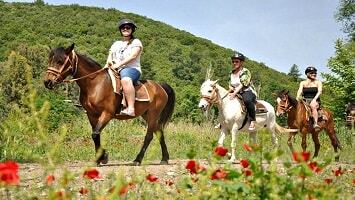 The tour is ideal for those who seek adventure, alternative holidays and excitement. 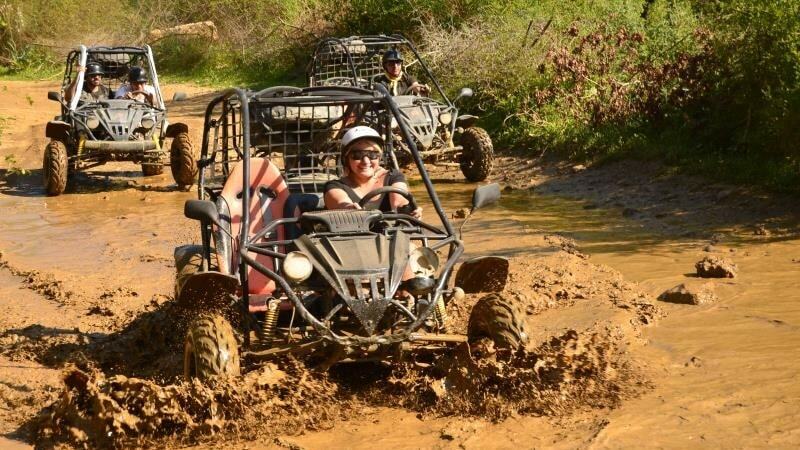 Enjoy a fun, outdoor activity and test your strengths by driving a buggy car on hills and on muddy and wet tracks. 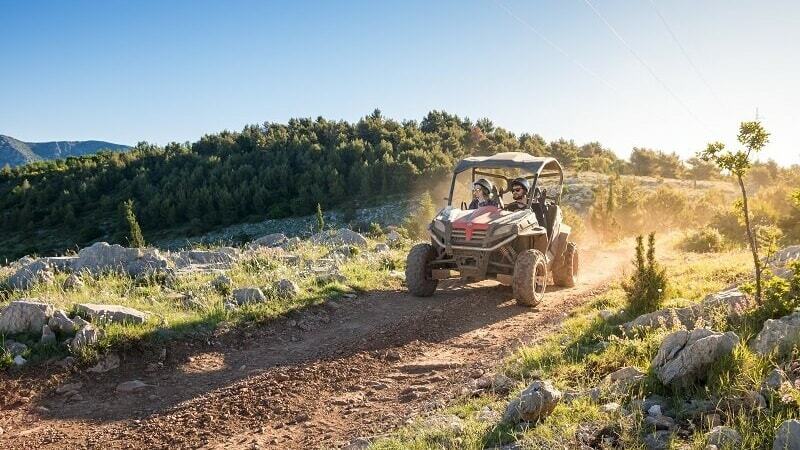 Experience Side / Turkey like never before with our Buggy Safari Tour and get some serious adrenaline boosts. Depending on your preferred time of the day, our team members will pick you up from your hotel with comfortable and fully air-conditioned vehicles. 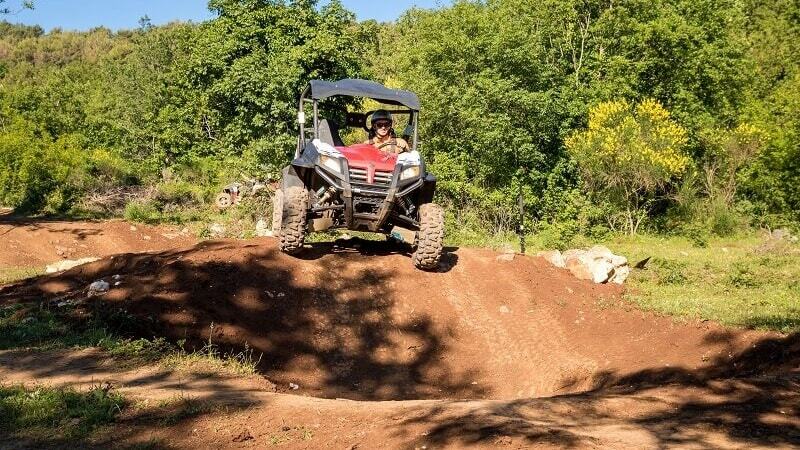 You will be driven towards the special off-road safari track that is used for the buggy safari. You couldn’t ask for more when it comes to the track as it includes muddy, watery and rough parts. In addition, the track includes also several physical obstacles and a river. However, there is nothing to worry about as everything will be explained to you! Once you reach the starting point, professional instructors will provide all necessary details in regards to driving and controlling the buggy car. They will also let you know about the necessary safety procedures and then you will make a 20-minute test drive. It is important to mention that all of the buggy cars are specially designed and follow all the safety requirements. Their top and side parts are open and can fit up to two people inside. Also, there is no need for prior driving experience and no driving licence in required. Once the test drive is done and everything is explained, it is time for some excitement and adventure! The buggy cars form a line as a convoy and are passing through the off-road route one by one. The first buggy car of the convoy will be the instructors and there will be also a mechanic team to assist you in case you need anything during this fun adventure. Be prepared to get wet as you will be passing through muddy and wet paths. This is the perfect time to show-off you driving skills and to challenge yourself by driving through the obstacles. Your Buggy Safari experience will last for two hours, so make sure that you enjoy driving at its maximum! By the end of your experience, vehicles will drive you again back to your hotel. This fun, outdoor activity will be for sure a strong memory from your holidays in Side full of laughter, adventure and excitement. We reccomend you to bring extra clothes with you as you will get dirty within this excursion. You can use showers at our facility to clean afterwards. If you are up to another adventurous day, Side Jeep Safari is the perfect tour for you. If you are searching for an outdoor experience that will offer to you a combination of adventure, fun and excitement then Side Buggy Safari excursion is what you are looking for. 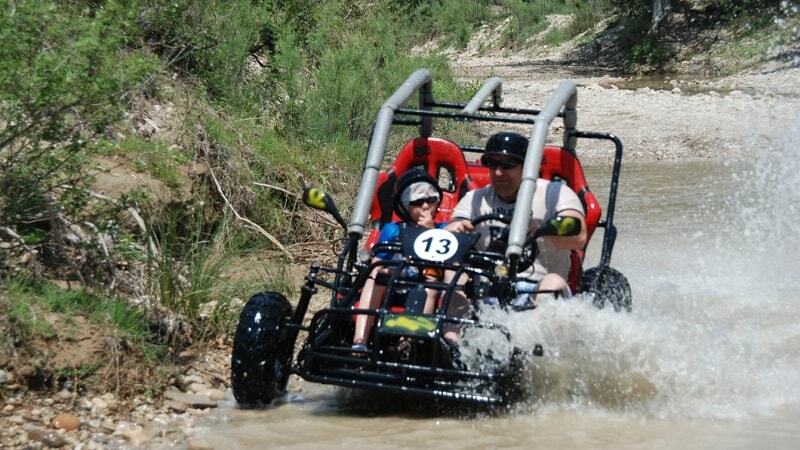 Show the adventurous side of you by participating in a Buggy Safari experience. Drive through obstacles, dusty, wet and muddy paths and get engaged in some serious water fighting. This off-road experience will boost your adrenaline and increase your excitement. Modern and comfortable vehicles will pick you up from your hotel according to the scheduled time of your excursion. 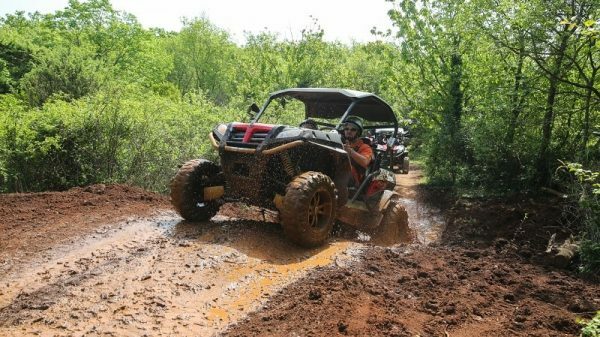 Our team members will drive you towards the off-road track where the Side Buggy Safari starts. The off-road track is the perfect one for Buggy Safari. It includes dusty, rough, wet and muddy parts to increase your excitement. In addition, the track includes several physical obstacles and a river. 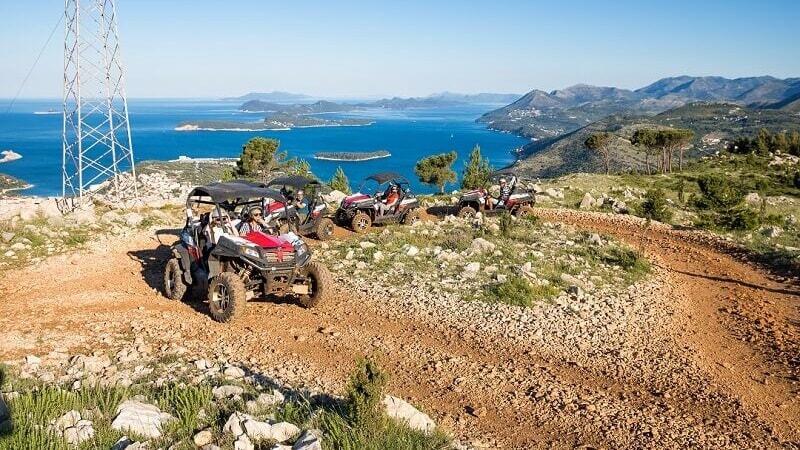 For sure the off-road track will impress you as you will be experiencing the buggy driving. The buggy cars that you will be using are specially designed for such activity and include all the safety requirements. Our buggies are of 200 cc and can fit the driver and an additional person inside. The top and side parts of the cars are open to give you some more excitement during driving. 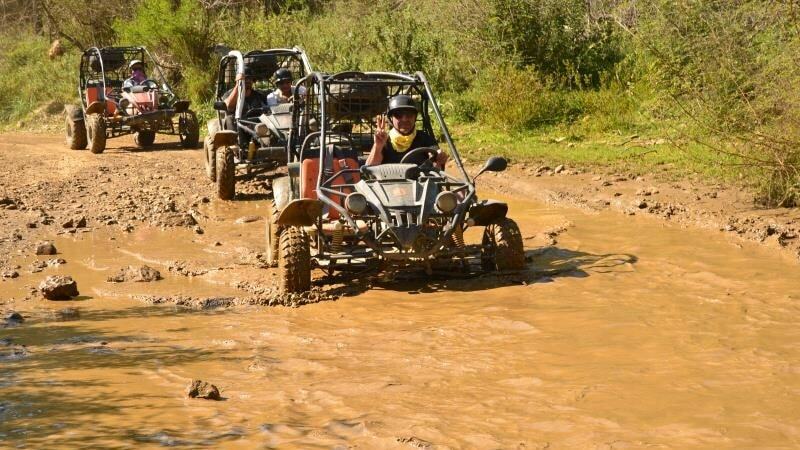 Once you reach the buggy safari track, instructors will give you all the necessary information regarding the cars. They will explain how to drive and how to control the buggy cars. In addition, they will let you know about the safety procedures. It is important to mention that driving the buggy car requires no prior experience or driving license, as everything will be explained properly. The Buggy Safari experience includes two hours of driving. At the starting point, you will form a line, like a convoy. The instructors will be the first in line in order to indicate the path during your experience. In addition, a team of mechanics will also be there in case you need assistance. During the two hours you will be driving in rough mountain road. Dust, water and mud are what you should expect during your driving. Be prepared for water fighting during the wet parts of the track, so make sure that you are wearing comfortable clothes. 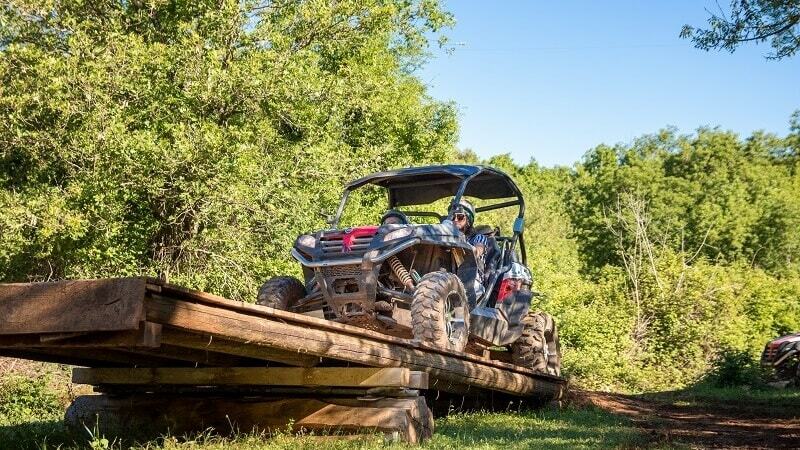 By the end of your two-hour buggy safari, you can preview the official photos and videos of your experience and purchase them at an extra cost. At the finishing point, a vehicle will be waiting for you. This amazing excursion ends by the time you reach your hotel. 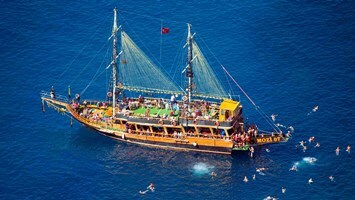 Full of positive emotions and adrenaline, this excursion can make your vacations in Side unforgettable!